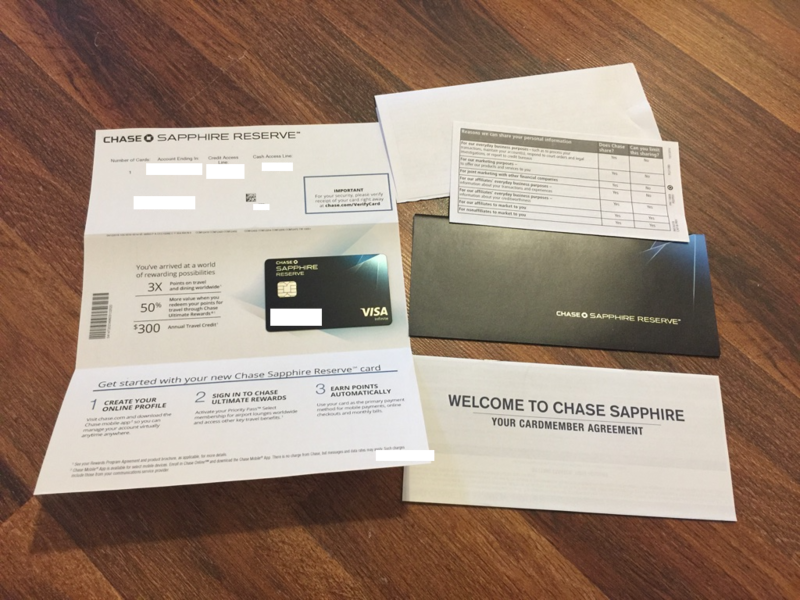 Finally, I Got My Chase Sapphire Reserve Credit Card! 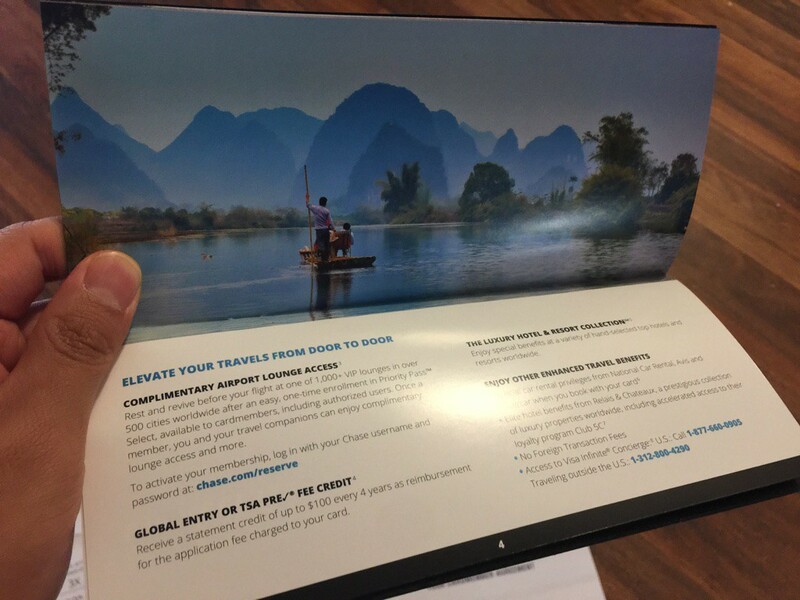 Chase Sapphire Reserve is THE best travel reward card to get! Chase Sapphire Reserve card is known as THE best travel reward card to get among all the reward credit cards out there. I was researching this card with Chase Sapphire Preferred, Citi Prestige, Citi AAdvantage World-Elite Executive, Citi Aviator Card, and a number of other options, but this seemed to be the best one in terms of numerous benefits, perks, and the overall value. This was my second credit card, and I wanted to build up enough travel points to make a round-trip to an international destination by the end of this year. Even if the credit card has a steep annual fee of $450, Chase Sapphire Reserve should be really your first travel reward card to get, and I will tell you the reason why later. But, first, let’s dive into the first time experience. When I applied for Chase Sapphire Reserve card, I was little afraid whether it would take too much time to get processed. And I was planning to spend the big amount of money for major appliances before I move into our new house that I had recently bought, so I was little concerned whether it would take too much time to receive the card since I heard how hard to get it. I applied through the online. You give most of information through an online form, which is very straight forward and a painless process. I prefer this way since I do not feel so safe to read out my sensitive information through the phone, not to mention it is inconvenient to find a quiet spot where nobody can hear. Less than a week, I got a call that simply verifies whether I really applied for it and also few personal information. Not much information have to be given over the phone, which is a hassle-free. At the end of the call, Chase agent informed me that I will receive the Chase Sapphire Reserve card within a week or two. It actually took me about 4 days to actually get the card! When I arrived at my home, I found this at my mailbox. A plain envelope. It is not the fanciest thing, but it is still acceptable. Not exactly like this. This was when Chase offered 100,000 points. Instead, I got a plain envelope. Well, I do not get the nicest box to feel little special, but that happy feeling will only last few hours. Thus, I moved on and start unpacking. 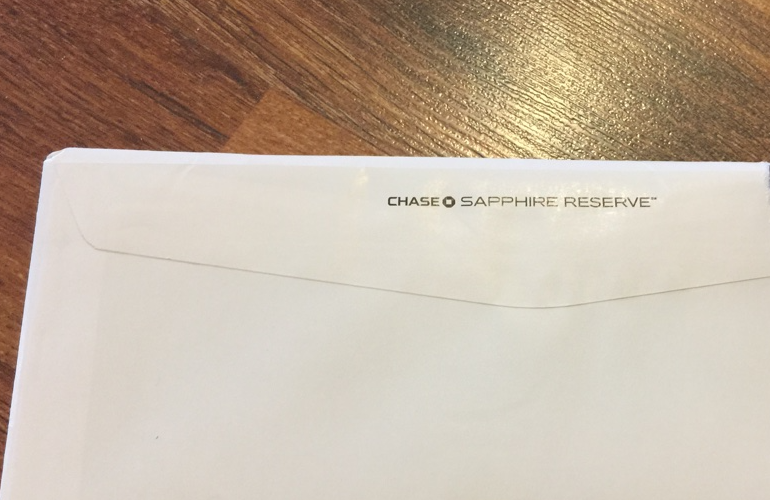 The contents of Chase Sapphire Reserve inside the envelope. As you open the envelope, you pretty much get 4 things. One is (1) a paper attached with your grandiose Chase Sapphire Reserve credit card and some reward information, your credit information, and how to get started. You also get (2) a sheet with credit rate information in a table, (3) your cardmember agreement paper, and (4) a nice, horizontal shaped brochure explaining your perks and benefits. I observed the credit card closely. 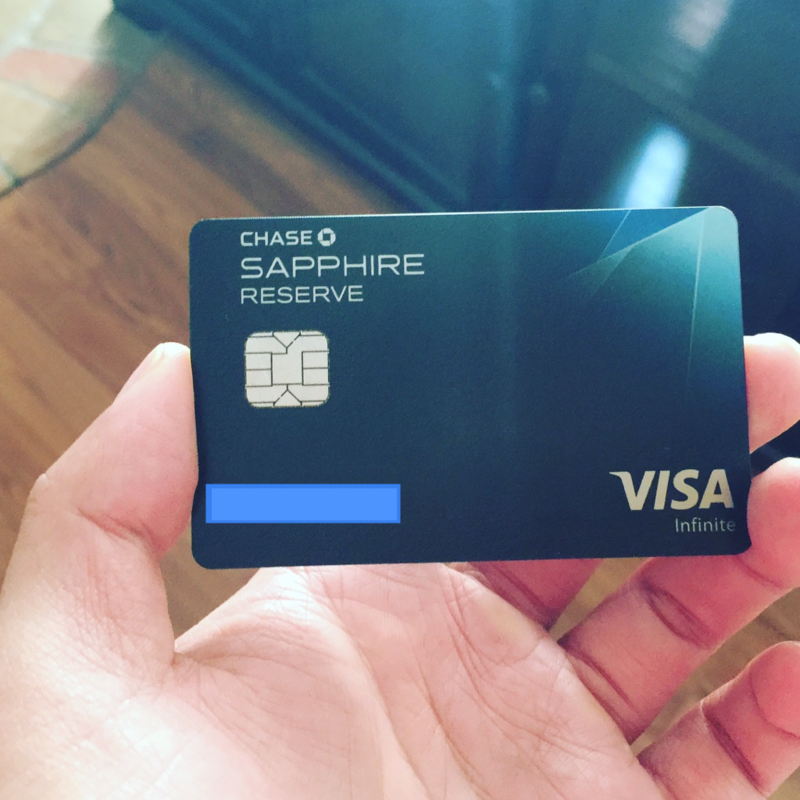 Chase Sapphire Reserve credit card is a very stylish card. 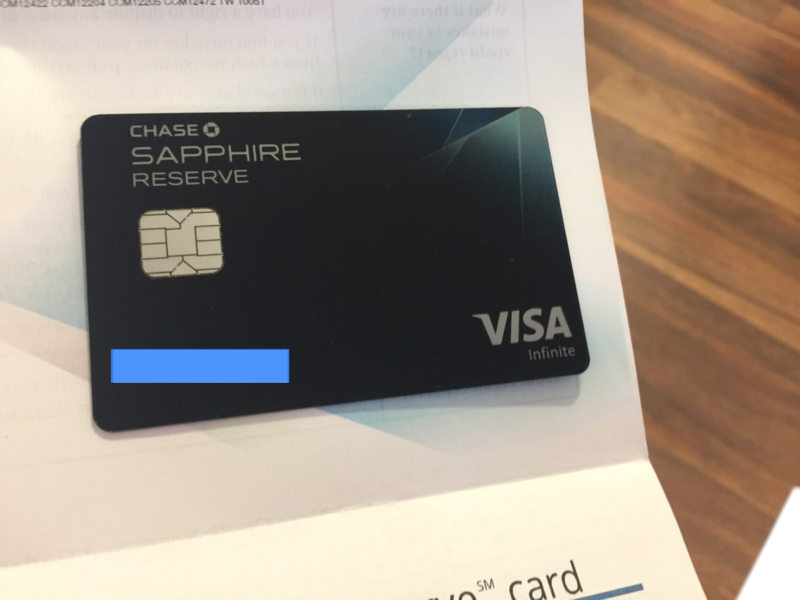 Chase Sapphire Reserve credit card has a dark blue hue, but not exactly black. From what I noticed, all the prestigious credit cards tend to bit darker. And here is a page in that brochure. I took out the credit card and hold in my hand to feel it. 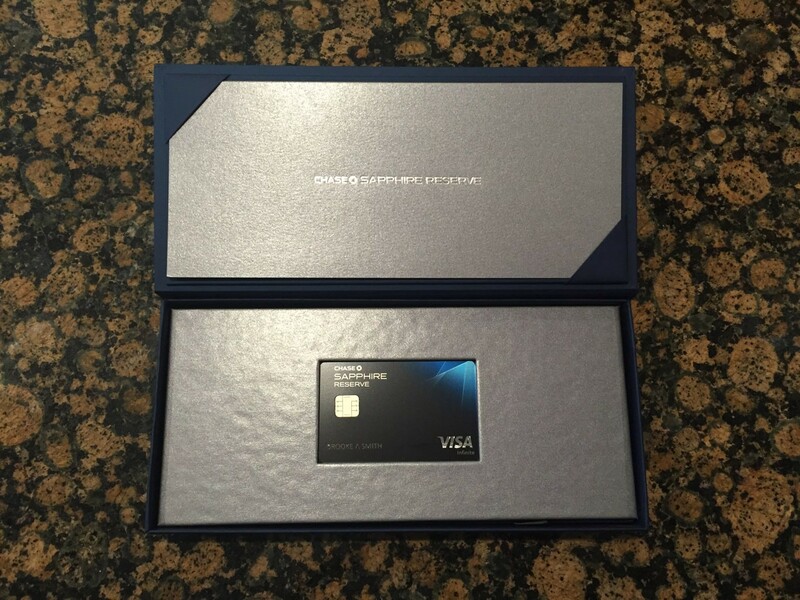 Chase Sapphire Reserve credit card is metallic. Feels not heavy but definitely something. When I hold my Chase Sapphire Reserve credit card, the metallic card feels pretty nice. It is neither too heavy nor too light but somewhere between. Here are is my Chase Sapphire credit card with two of my debit cards in comparison. That is it for now. 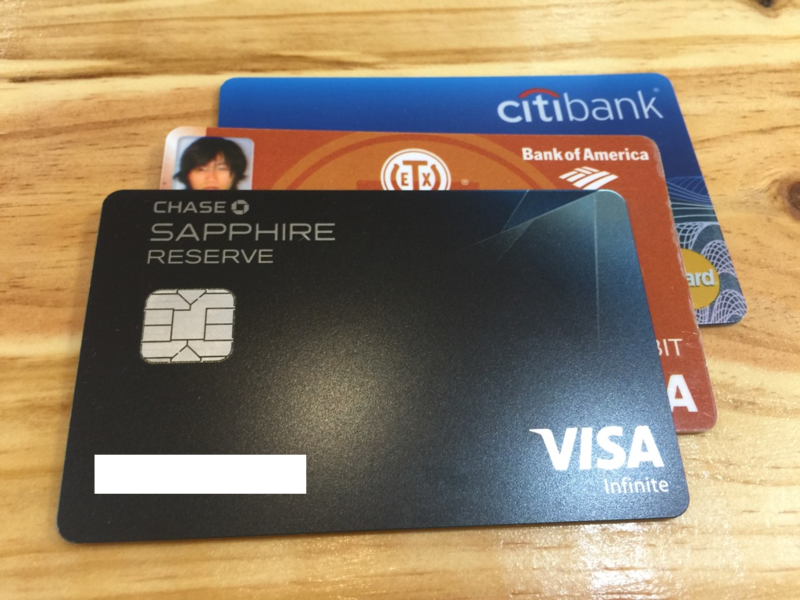 Next, I will talk about Chase Sapphire Reserve card’s benefits and perks in more details! A Red Hat consultant talking about mylife as a consultant, including travels & career tips. But I will sometimes cover financial advises and some random stuffs.